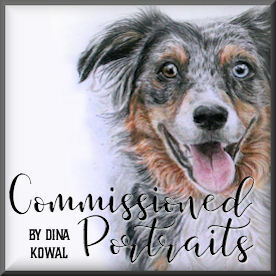 Dina Kowal Creative: new new new! Just wanted to share a couple of the new images now available from Heart & Soul Rubber Stamp Co. Sue has been creating inspirational and encouraging stamps for waaaaaay longer than I've known about her company, and she's got a huge collection of verses and sayings I just love, and that have been such a blessing to others. Her heart for the Lord shows through each image she creates. How cute is this bloomin' kitty? This is some artwork that was purchased from an Etsy shop called Gingerbread Cat (I'm increasingly fascinated with Etsy), and it comes in 2 sizes, this being the smaller one. I stamped the cat in sepia ink and watercolored the image with Twinkling H2Os. I used a liquid mask (called a frisket) to mask the flowers and features, so they wouldn't get painted over. I love that stuff! I added a few gel pen highlights when everything was dry. On the next card I want you to see this sentiment - Sue created it just for me! I had been wanting this one for a long time to go with Fall stamps, snowflakes, comfy chairs, etc. I love it, and I love the way the words seem to be falling down as well. Thank you, Sue! The chair is from Art Impressions and I paper-pieced it - reminds me of those comfy-but-just-a-little-scratchy chairs that Grandmas always seem to have, and it made me miss my Granny, especially the armrest covers, which she keeps neatly pinned to the chairs. This is cool too - I lined up the pleats and deeper parts of the chair on my Scor-Pal and scored along those lines to create a little visual dimension. It's hard to see in the picture, but it's pretty neat. I was impressed anyway! Shading is done with pencils, and that little flourish is from Impression Obsession. The wood paneling is a scrap from my paper stash - embossed by hand using a Fiskars texture plate. Be sure to check out the Heart & Soul online catalog if you haven't done so...there are sooooooo many treasures packed into it. And when you can get any unmounted rubber stamp (any size) for only $1.50, precious stamping money goes a long way! Hope you enjoy what you see. Have a great week!! I just love that chair! Stunning card! Beautiful Cards Dina!!! I love that saying next to the chair. You are so clever!! I hope things are going well at your house today and you are all feeling better!! Frisket? 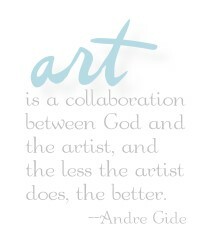 Whoa, you are a true artist if you have the patience to use that stuff!! Love today's artwork....as usual! Your first card is just precious! Love the words too! The eyes have it too! The second card is very warm and friendly. I really like the design too!